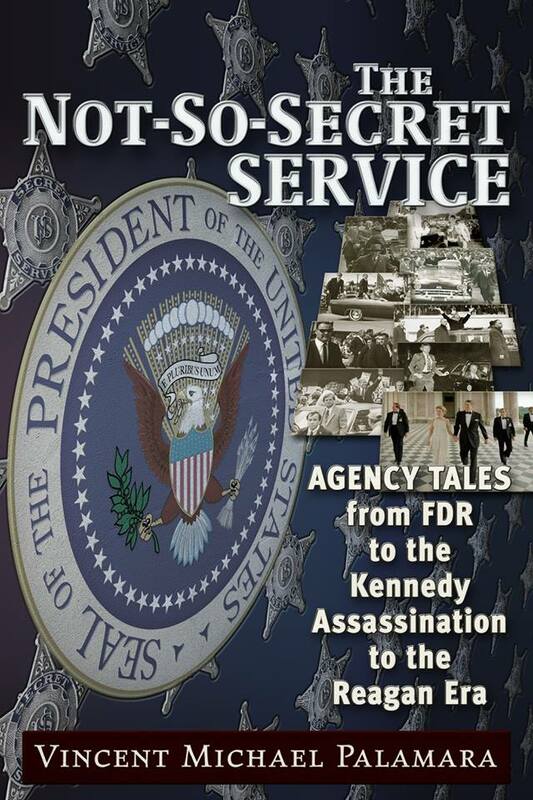 My next book THE NOT SO SECRET SERVICE: AGENCY TALES FROM FDR TO THE KENNEDY ASSASSINATION TO THE REAGAN ERA is a mostly positive look at the greatest agency in the world, the U.S. Secret Service. From 1865 to the present, thousands of men and women have served their country well- this is reflected in chapters on FDR, Truman, Ike, and Reagan. I also take a look at my top 5 (favorite) agents of all time- although subjective, I don’t think anyone would argue with two of the 5 (Jerry Parr and Robert DeProspero). While there are critical assessments contained in chapters related to JFK, LBJ and Nixon, there are also positive comments throughout. I believe anyone who reads the book will come away with two thoughts: Vince sure is a fan of the Secret Service and he sure is a critic of their performance on 11/22/63. That said, I am also praiseworthy toward many of the Kennedy detail, as there are a fair amount of those agents who were not involved in the nuts and bolts of that tragic day. When one considers how long the agency has been around (since 1865-151 years, spanning part or all of three different centuries), how many thousands of men and women have served their country admirably, and how many presidents, dignitaries, and family members have been (and continue to be) successfully protected, there is indeed much to admire. Even the one tragic day in their history enabled by a few does not diminish that legacy.